Are There Alternatives to Chapter 7 and Chapter 13 Bankruptcy? The Tucson Law office of Kathryn L. Johnson, offers those with foreclosure and debt collection issues a number of alternatives. While it is indeed true that many people find Chapter 7 and Chapter 13 type bankruptcy filed in federal court a viable option, some individuals choose to avoid bankruptcy altogether. Attorney Kathy Johnson will help to guide you in discovering your alternatives with respect to bankruptcy. Knowing your legal options and strategically planning your financial future with this in mind can help to ease the burden of today’s challenging economic climate. 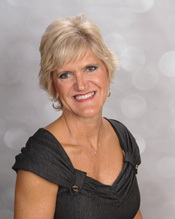 As a licensed real estate broker in the state of Arizona who is also qualified as a mortgage broker, Kathy Johnson can help residents of the Tucson area approach their financial difficulties in a logical and methodical way. She offers clear and decisive alternatives to residents of Tucson giving them the upper hand in uncertain economic times. Listed here are a few of the options available to those experiencing financial strain or difficulty. Because attorney Kathy Johnson knows Federal and local law intimately she can help to guide residents of Tucson and southern Arizona in making the right choice with regard to their financial concerns. Because some people choose to avoid chapter 7 bankruptcy and Chapter 13 bankruptcy it is important that they make the right choices with regard to their alternative plans. The Law Office of Kathryn L Johnson, can help you to negotiate favorable repayment terms with a variety of creditors to slowly and methodically repay all debts. Residents of Tucson and southern Arizona should know that all initial consultations are free and offer people an opportunity to explore all available options. In addition, because Kathy knows that people have busy lifestyles and schedules today she is always prepared to meet on weekends and evenings to ensure that her clients get the best legal representation possible.